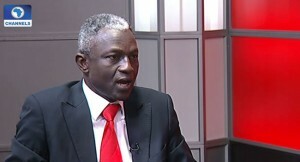 A petroleum engineer, Mr Zakka Bala, says the crisis confronting Nigeria in the Niger Delta region is an offshoot of national planlessness. He blamed the leaders of the nation for not making adequate plan that would cater for the nation’s future, stressing that the challenges posed to the nation’s economy by the Niger Delta Avengers attacks on oil facilities could not have surfaced if it was tackled long ago. Mr Bala gave his opinion on Tuesday on Channels Television’s programme, Sunrise Daily. “We are talking about what ordinarily should have been done before. “Everything can be summarised under ‘planlessness’, tragedy and probably calamities on the part of Nigeria. “You can describe what we are experiencing as unfortunate sides, but the tragedy are not limited to the Niger Delta. “If you have a plan, you can neglect some items and still be on course. If you don’t have a plan, the best way to describe the person is to say the person is headless. “Leaders are supposed to think and plan generationally. If you think and plan generationally, all you need to do is during your time, put in your best. History and posterity will tell,” he stated. The petroleum engineer further pointed out that the falling crude oil price was not a hindrance to the Nigerian government from doing what was right to make the diversification of economy visible, with sustained economic growth. He stressed that the Petroleum Industry Bill (PIB) that has not been passed was hindering the flow of activities and inflow of foreign investments in the oil and gas sector. “It is not the falling prices of crude oil that made us not to pass the PIB and make it a law. It is not the falling prices of crude oil that made Nigeria not to be having fertiliser plants scattered all over. It is not falling prices of crude oil that made us not to dredge River Niger or implement the gas master plant. It is not the falling prices of crude oil that made Nigeria not to respond to joint-venture cash calls. “If investors want to come into your domain and contract with you, the atmosphere must be conducive. “When you don’t have a banding document, how do you expect somebody to take your country so serious?” he questioned. On the role of the government in ensuring that the right persons that are knowledgeable are brought into government, he said those in power in Nigeria’s tended to be sectional, nepotic and political. “The politics we practice is the politics of exclusion, vengeance and possible extermination. “If you run an inclusive politics, if you see that I have something to offer, even if I am in the opposition, you will call me on board,” he explained. On the agitation of the Niger Delta Avengers, he said that equity, proper planning and sustenance of the plan could have brought the needed peace in the Niger Delta region. He suggested that the Nigerian government should consider an integrative bargain or dialogue, stressing that its leaders must lead with the interest of the nation at heart.